Despite the long lines,craziness, flippers, and stress that comes with Record Store Day there is still that sense of community with the record lover's holiday. The day continues to be a celebration of record stores and of the people that come together to talk and purchase the music they enjoy. Now that the third Saturday of April is behind us and a bit of the dust has settled, Emily Ornberg and I give our impressions on RSD 2015 with our experiences from waiting in line for great finds to some disappointments. Once more into the breach, dear friends, as Record Store Day is here again! Perhaps the biggest day of the year for audiophiles and vinyl hoarders, it's also a time to show local shops some love, and maybe discover a new place you've never shopped before. As always, check out the special Record Store Day releases in PDF or web form, then make a plan to hit your local Chicago store on Saturday! 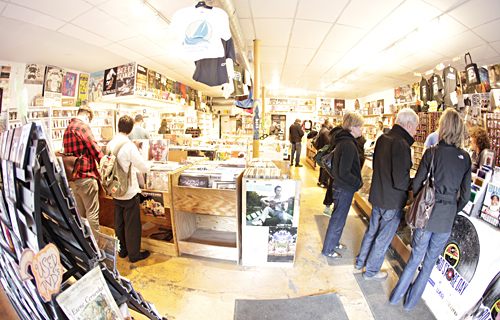 Most shops not only offer what limited edition RSD items they were able to get in stock, but also discounts, and a general atmosphere of celebration. Our beloved vinyl holiday, Record Store Day, is this Saturday, and while we might not all be at stores waiting in line come midnight, the yearly celebration of all things vinyl has its own perks. Every year, there's a plethora of special Record Store Day releases. From new artists and old, either re-releases, or special compilations or tracks — there's something for everyone, of course only if your local record store gets in the release that you want. And that's the rub, since while all stores might like to get each of these releases, even if they request them, they're not sure what they're going to get till the box arrives (sometime later this week). But what follows is what the Transmission staff is keeping its fingers crossed for this year. You probably recognize Kathleen Hanna from Bikini Kill or Le Tigre or from being the coolest person ever. 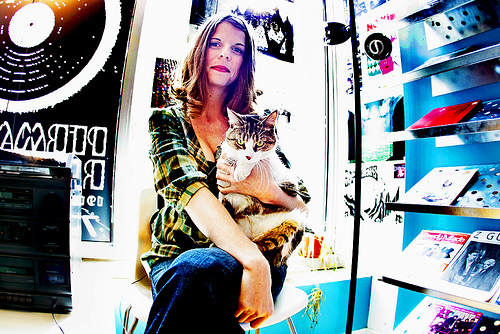 After an extended hiatus from music due to the singer's struggle with Lyme disease, Kathleen returned along with new band The Julie Ruin in 2013 with a new album, Run Fast. The album is less politcally charged and more personal than what we've heard from Hanna in the past, revealing a more vulnerable side to the artist. 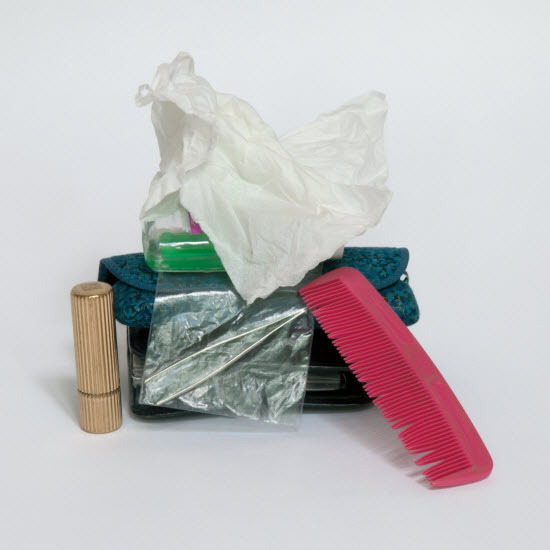 On Record Store Day The Julie Ruin will release a 7" of two previously unreleased songs, "Brightside" and "In The Picture", with a limited pressing of 2000. You might be able to wait until Christmas Eve to shop, but I wouldn't recommend it. Some businesses will have limited hours on Tuesday and most will be flat-out closed Wednesday, so get out today and get going! For the last three years, my Record Store Day has started the night before while waiting for Permanent's midnight opening. However, this year was different. (Honestly, I was fine not having to deal with the numerous people walking in and out of Cleo's or Roots asking, "What's up with this line?") I went to bed at a reasonable hour, slept in past 8 a.m. and even found the time for brunch to gameplan with my record shopping pal. To begin the day, we headed to Hyde Park Records where WHPK was spinning and all used records were 10% off to entice people to not just buy from the day's special releases. (It worked.) Instead of keeping those special releases behind a counter (like almost every other shop), everything was set out in the new releases rack and restocked as items were purchased. The shop was full, but not crowded. A lot of the good stuff (especially new used arrivals) had been picked over thoroughly, but there were still a few gems dug out. At Saki an hour later, we passed Jim James while walking in and then made note of the Record Store Day release availability board, which every shop should have. After browsing the official official list, I'd been lukewarm, but I was pleased to see a few surprises, like Radar Eyes' "Dreaming of Giants" flexi-vinyl single. With in-store performances all day, Saki was quite full of people shopping and others just hanging out for the sets. Luckily, the people not shopping had the courtesy to let others browse through product. It hasn't always been that way. This is Record Store Day's seventh year and it's now gotten to the point of any other consumer holiday where the backlash is winding up. Yes, record stores are open other days in a calendar year and new records are officially released every week, but there are few opportunities to assemble consumers anymore. A normal Saturday at Reckless or Dusty Groove has a respectable draw, but nothing quite like the third Saturday in April. And it's not like NewAlbumReleases.net or NoData throws a party when an album leaks. So, despite the eBay flippers and once-a-year shoppers, it's generally a positive. And you and your friends might just come away with a nice haul. Nearly six years have passed since we started setting aside a certain Saturday in April and heading out to our favorite (or new favorite) local record stores to celebrate the brick-and-mortar music shopping experience. 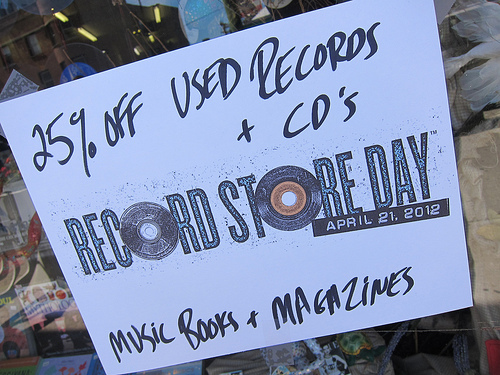 Whether you choose to line up at the crack o' dawn, or head out at a leisurely post-brunch hour, a visit to your local music purveyor can be easily accomplished this weekend with Saturday's return of Record Store Day. What follows are our best recognizance for what's planned, celebration-wise, at a record store near you, Chicago. Re-Vinylized a 30-minute documentary by John Boston of Whiskey Bender Productions about independent record stores in Chicago, is now watchable online. The film was an official selection of the 2012 Chicago International REEL Shorts Festival, and features interviews with the owners of Permanent Records, Record Emporium, Vintage Vinyl, Val's Halla and other shops, as well as music journalists Greg Kot and Jim DeRogatis, in a celebration of the culture of independent record stores, the effects of the Internet on the business, and the stores' resurgence with the vinyl record. Speaking of Val's Halla, the Oak Park music mainstay is on the verge of closure due to mounting bills. There's a "Help Val Keep the Lights On" house party happening this Thursday, Dec. 13; it's sold out, but donations are still being accepted. Recently, I forayed into Chicago's musical wilderness in search of some of the more gripping record stores this city has to offer. It took some sifting; I wasn't accepting any vintage-bookstores-that-also-sell-Bonnie Raitt-records, nor on the opposite end of the spectrum, hitting up all the Reckless locations and calling it a day. I aimed for somewhere in-between, hoping to simply unearth some fine, browsable shops. I think the record stores that offer the best selections are ones that devoted vinyl shoppers probably already frequent but that are still relatively unknown to the masses. In search of this ideal record shop, I headed out to three stores — Logan Hardware, saki, and Dusty Groove — that I knew from previous experience have stocked shelves, fewer crowds, and consequently are easy to get lost in for hours. 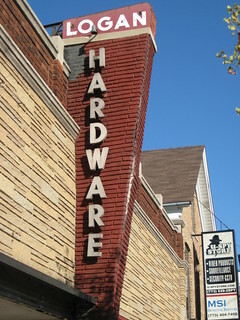 I traveled first to Logan Hardware (2410 W. Fullerton Ave.). Logan Hardware's retro vibe is evident even from across the street. The outside looks like a '70s bowling alley what with its jaundice-tinged, brick façade and rusty-red, angular sign. The inside is a little unkempt, but very charming, akin to the neighborhood kid who always had dirt on his cheeks but a smile on his face. The unkemptness does not apply to the organization of the upper-echelons of its selections though. Sure, the bargain albums are shoved beneath the prettier records in a cramped, un-labeled heap, not visible to the level eye, but isn't this how it usually is? What's more important is that Logan Hardware was the only store of the three I visited that actually labeled their albums by artists. This is likely because they were also the only store I visited that had enough albums of a certain artist that warranted doing so. A few Transmission staff members headed out into the fray over the weekend to check out the scene at record stores around town. 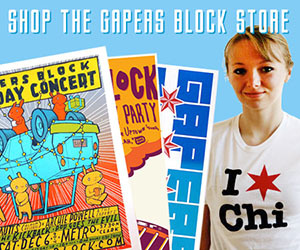 With some successes (and failures) under our belts once again this year, here's our recap of Record Store Day 2012 in Chicago. 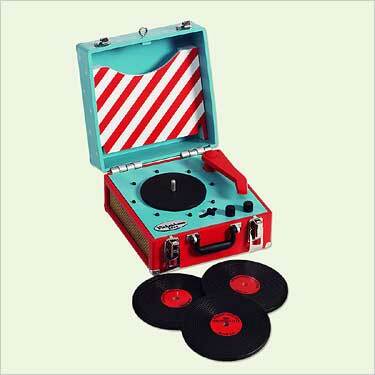 Ahoy all vinyl-loving music fans! Another Record Store Day is nearly upon us. Come this Saturday, April 21st, the doors of your local record shops will be thrown open, and all the masses are welcome to flip, peruse, and, most importantly, purchase some amazing new tunes. Chicago stores have always embraced this (most holy) of music celebrations, and this year is no different. Plan your route, or in some cases your level of caffeination, and head out to one of these shops for some RSD fun. Note: shops have, in most cases, pre-ordered special releases for Record Store Day, but they won't know what they've been sent until the boxes are opened this week. (It's more of a wish list, really.) 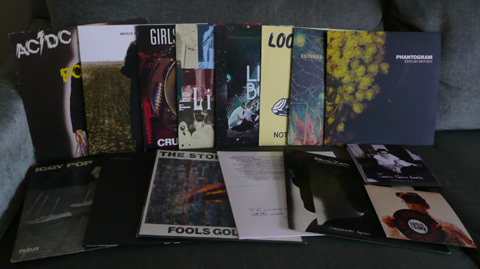 Check out what you might find with this long run-down of special releases for RSD 2012. Not the usual friend to run into at a record store, Zaireeka was Permanent Records' furry friend who greeted patrons at their Chicago store (1914 W. Chicago Ave.) and silently approved of purchases no matter how outlandish. Sadly, the store just announced that a few months ago, Zaireeka moved to join their new L.A. outpost, and soon after died. They have a long Facebook post about the tabby who made me pretty gleeful every time I visited the store, and they'd love to hear your favorite memories with her. My thoughts go out to the Permanent Records store staff and all of the patrons like myself who will miss Zaireeka very much. My Record Store Days always begin with a little planning and strategy. Popular shops are visited early in the morning to maximize the chances of buying some of the day's special (limited) releases out from under the capitalists who flip them on eBay by noon. It's just a matter of knowing who'll be carrying what, or at least having a good idea of who might stock what you want. (Even shops typically don't know what a distributor will deem them worthy of until they open the shipments.) With that in mind, Permanent is usually my first stop. Unlike last year, it wasn't completely slammed, but certainly busy and all indications from the staff were that their midnight sale went very well. Aside from a handful of predictably popular special releases (Laura Marling's split with a band whose fame baffles me and Ty Segall's T. Rex covers, notably), Permanent seemed to still be well-stocked by 11. With a good haul secured, it was off to the next spot. By late morning, Reckless on Milwaukee had a line snaking through the store and outside past LensCrafters. The Numero Group's pop-up store was being thoroughly picked over, too. My companion and I decided to hightail it to a shop with less foot traffic: the relatively deserted Reckless on Madison, to see what of our special release lists could be acquired. I scored Ty Rex, but she came up empty. Then we headed to Hyde Park Records. Now, I live rather far from Hyde Park and only visit the shop once or twice a year, but I always find something that amazes me. On this trip, it was a sealed copy of the Stone Roses' seminal "Fools Gold" 12" single and a waterlogged copy of Iggy Pop's The Idiot. (It plays fine.) On a day when many people simply hand a list of wants to a clerk, it was nice to get some satisfaction among a thousand Whipped Cream and Other Delightses and Tubular Bellses. A roundabout route to Beverly took up precious time and the selection was a little spotty, but my companion did excitedly find an album that she'd be too embarrassed for me to mention. So the trek wasn't a complete waste. Mad traffic on the Dan Ryan got us to Saki just in time for the 1900s. Even though it's a large store, there were a lot of bodies taking up space. The used section was impenetrable, so I browsed through the new stuff and came away with a few nice finds. Where Saki separated themselves from other stores in regard to customer service was the board of all releases that they received and what their availability was. It undoubtedly kept employees from being asked the same questions a hundred times and put into perspective how varied the special releases are. 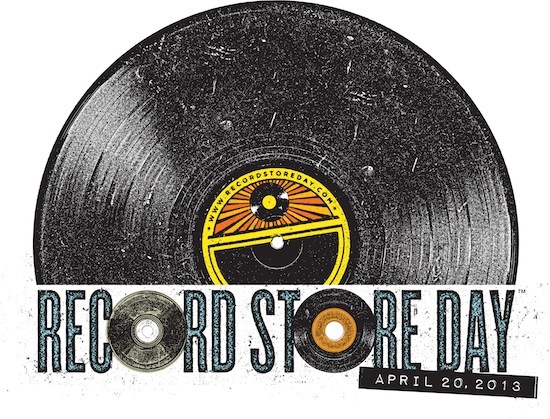 Neither rain nor snow could hamper the day and another Record Store Day came to a close with numerous new records and a lot of rewards points. Marc Ruvolo isn't the type to take it easy. 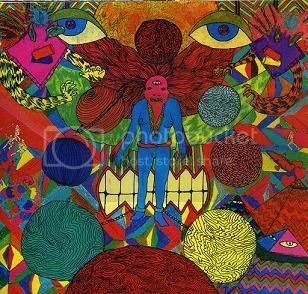 With ventures in music, literature and art, Ruvolo is always looking for his next creative outlet. His latest and most notable undertaking presents itself as Chicago's only genre bookstore, Bucket O' Blood Books and Records, which also offers customers an impressive vinyl and CD selection. Ruvolo's name might sound familiar because he's the co-founder and now sole owner of Johann's Face Records, a label that helped spawn the careers of some of Chicago's best known punk acts like Alkaline Trio and The Smoking Popes. Obviously, he's acquired quite a bit of music over the years. That collection, paired with a lifelong passion for science fiction and fantasy literature, led to the idea for Bucket O' Blood. The store opened June 4, 2010. "I'm a collector at heart," Ruvolo confessed. "I like to collect things...so [Bucket O' Blood] is my collection now. And when a customer buys something, then I get to buy new things, so I get that part of the collecting. I don't get to keep it, which is fine with me. I don't really care anymore." 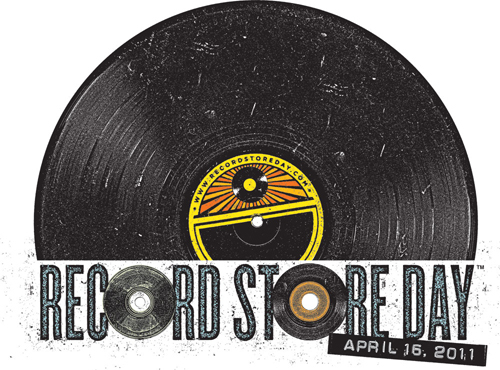 Just in time for a spring thaw, it's time for Record Store Day again! Like Christmas wrapped in a birthday tucked into a bucket of geekery, this coming Saturday will be the most wonderful day of the year for audiophiles. It's also a great excuse to do a little local economy stimulating and head out to your neighborhood record store to do some shopping. Maybe you want to check out the latest releases, maybe you just want to wander and enjoy a free prize or two, any way you look at it, it's going to be fun. Take a look at the splendid Record Store Day special limited releases you might be able to snag, and then plan your route using our handy list (after the jump) of participating Chicagoland stores. 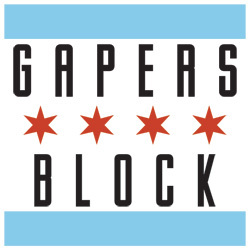 Let us know what you pick up in the comments (or by tweeting us @gapersblock), and keep an eye out for our staffers at your local store. We promise we won't cut in front of you in line. 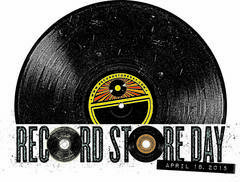 Remember - If you're using Twitter while you're out and about, use hashtag #rsd11 for your tweets about Record Store Day! When you think Chicago landmark, the first ones that come to mind reside within walking distance of the EL, or maybe in "friendlier" confines. 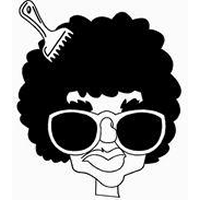 But any DJ or record collector worth his Groove Glide would tell you that a destination as distinctively Chicagoan as any exists beyond even the 95th/Dan Ryan stop of the Red Line. At 118th and Western, Mr. Peabody Records is one of Chicago's most unique record stores, catering to those looking for the best of house, soul, funk, rock, hip hop, world music, jazz and above all...disco. In business together since 1996, owners Mike Cole and Mark Grusane hoped to combine their extensive knowledge and passion for music into the brick and mortar store on 11832 S. Western. They've since supplied many a crate-digger with their fix of rare vinyl and have expanded Mr. Peabody into a record label and distributor. As though there wasn't enough to do this weekend, Mr. Peabody will open their doors to a deluge of bargain shoppers, as it offers a huge inventory liquidation sale on over 60,000+ LPs, 12"s, and 45s. Check out the flyer, and follow their progress on Twitter! 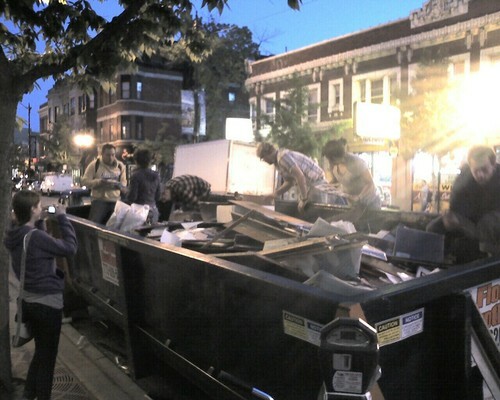 It's not every day you see a bunch of hipsters crawling around in a dumpster, but that was the scene this Saturday as Reckless Records threw out mountains of old records and other random detritus from years in their Broadway location. The new store is located at 3126 N. Broadway, just a bit south of the old spot at 3161. This week's list of unofficial top sellers comes from Lance Barresi, owner of Permanent Records, 1914 W. Chicago Ave. Per the usual, Chicago artists are bolded. This week's list of top sellers comes from Melissa Geils of Laurie's Planet of Sound, at 4639 N. Lincoln Ave., in Lincoln Square. Melissa titled her list "Laurie's Planet of Sound Top Sellers: '(Fairly) Under the Radar' Edition!" As always, Chicago artists are bolded. Please note: I previously linked to the wrong Yearling band. It is fixed now. Transmission checked in with Jeff Johns from Reckless Records in the Loop at 26 E. Madison St. to find out what the top sellers were this week. The list isn't scientific but is based on what records managers have noticed are selling a lot. We're hoping to make this a regular feature by checking in with indie record stores across the Chicagoland. For our first segment, here's Jeff's list, which he titled "Reckless Records' (un)lucky top 13 sellers in alphabetical order." 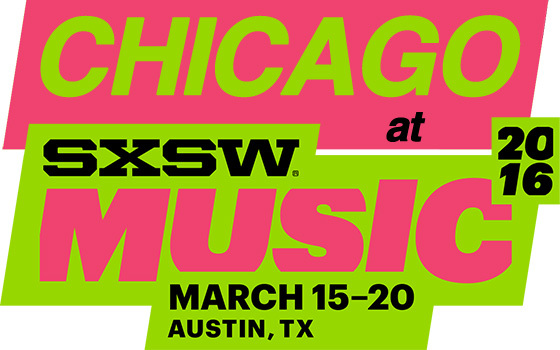 Chicago-based artists are bolded. Also of local interest in the same issue: Kanye West makes the mag's latest list of "The 10 Most Stylish Men in America," and explains his low Day-Glo policy for photo shoots. In this digital age, the iTunes Music Store and Amazon's mp3 service reign supreme. The indie record store, some say, is getting absolutely shellacked by the movement to mp3s, Ogg, and FLAC, and are forced to close their doors. 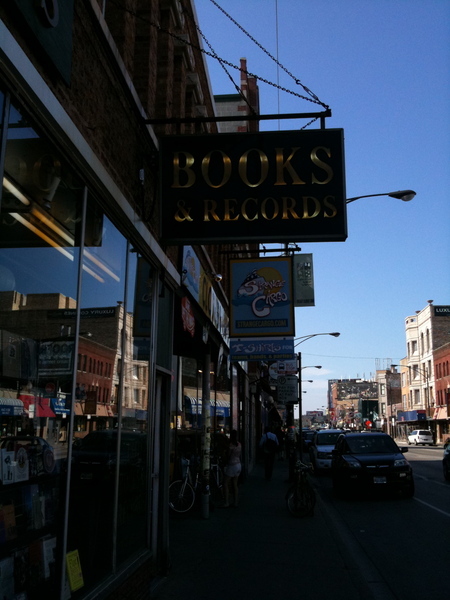 We're lucky that, here in Chicago, there are quite a few indie stores holding on and kicking, and today is their day. On Record Store Day, the goal is to patronize actual brick-and-mortars who serve as an alternative to the bog-box entertainment outlets. The advantages are many, the locations smaller, but the attention and selection are, in many cases, FAR better than the nationwide chains. We've reviewed some of these spaces here before, and some places are having star-studded events for the occasion. So, whether JazzMart, Deadwax, Lauries, or anywhere else, get out there today! At least you won't freeze. Threadless + Indie Rock? Who'd have thunk it? Local t-shirt establishment Threadless is celebrating the grand opening of its first and only live store with some indie rock (that I hear the kids like these days) on September 14th. Their big party will consist of not one, but two phases. Phase #1: An all-ages show, starting at 6pm at the Metro. The lineup features some very sweet Chicago talent including Hey Mercedes, Anathallo and Freer and will be hosted by Marcus Monroe. To get tickets, you must stop by the Threadless store (at 3011 N. Broadway Ave.) starting 9/10 and you can pick up two tickets per person. There will be no tickets available at the Metro and just because you snag a ticket, it doesn't mean you get in. It's first come, first serve, so line up early. Phase #2: An adults-only 18+ after-party, also at the Metro, starting at 10:30pm. The music lined up for this show includes Office, White Hot Knife, The Assembly and the Life During Wartime DJs. No tickets are needed for this show, but yeah, it's still first-come, first-served. For all the details, check Threadless. Chicago's favorite new independent record store, Permanent Records, has sprouted limbs and become a full-fledged record label! Their first release is Warhammer 48K's An Ethereal Oracle. The Chicago Ave. store/showspace is taking orders for the limited edition vinyl, which is slated to ship after April 8th. You can catch Warhammer 48K as they play a FREE in-store at Permament Records on April 6th at 4:00pm with Waterbabies, All Out Attack, and He Not In. 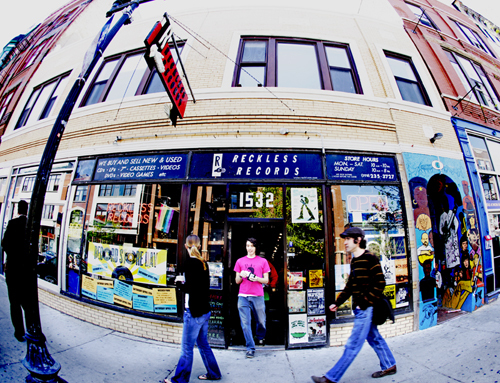 Contact the store at 773-278-1744 for more information or drop by 1914 W. Chicago Ave.
Those of you who work (or live) downtown and seek a new place to browse away your lunch hour can rejoice; Reckless Records has announced the forthcoming opening of a third store, to be located at 26 E. Madison, in the heart of downtown! The store's web site says that we can expect to wait 4 to 6 weeks for delivery, but that you should keep bringing in your used CDs, LPs, DVDs, and video games to the current store locations for cash or credit. Isn't it always a bit weird (in a good way) to be browsing through a record store's used section, only to bump into a record you used to own - not like another copy, but YOUR old copy! Like bumping into an ex-, but with a laugh, rather than a shudder, of recognition. Buying locally, now that's priceless! Dusty Groove America may be one of the best record stores in the world, a fact not immediately obvious when you walk into the surprisingly clean storefront at 1120 N. Ashland. The secret is their incredible mail-order business, which offers an incredibly deep collection of rare albums, niche genres, obscure titles and more via dustygroove.com. Here's an interview with co-owner Rick Wojcik over at Midwestern Goodness.